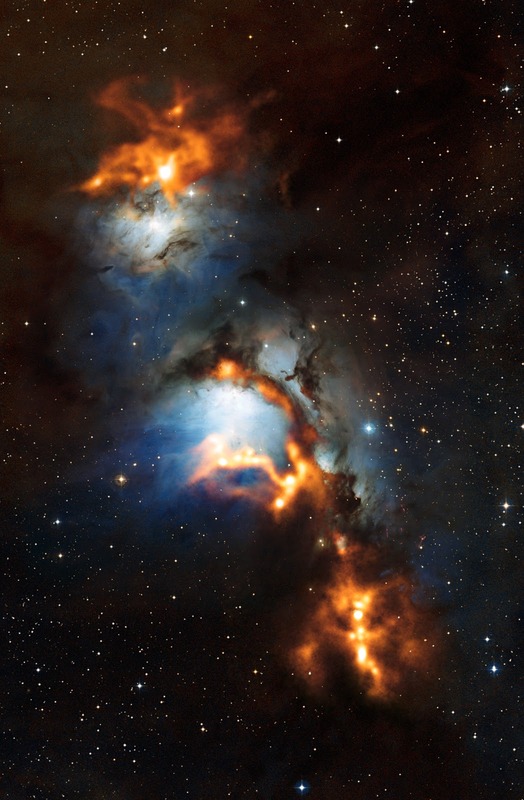 This image of the region surrounding the reflection nebula Messier 78, just to the north of Orion’s belt, shows clouds of cosmic dust threaded through the nebula like a string of pearls. The submillimetre-wavelength observations, made with the Atacama Pathfinder Experiment (APEX) telescope and shown here in orange, use the heat glow of interstellar dust grains to show astronomers where new stars are being formed. They are overlaid on a view of the region in visible light.